Home / Hazardous Materials / Texts/Handbooks & Supplements / Emergency Response Guidebook (ERG), 2016 Ed. 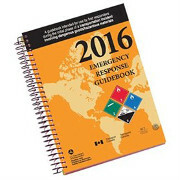 Emergency Response Guidebook (ERG), 2016 Ed. The Emergency Response Guidebook was developed jointly by Transport Canada (TC), the U.S. Department of Transportation (DOT), the Secretariat of Transport and Communications of Mexico (SCT) and with the collaboration of CIQUIME (Centro de Información Química para Emergencias) of Argentina, for use by fire fighters, police, and other emergency services personnel who may be the first to arrive at the scene of a transportation incident involving dangerous goods. 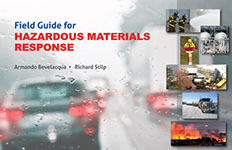 This guidebook is primarily a guide to aid first responders in quickly identifying the specific or generic hazards of the material(s) involved in the incident, and protecting themselves and the general public during the initial response phase of the incident. The guidebook will assist responders in making initial decisions upon arriving at the scene of a dangerous goods incident. Available in either spiralbound or softbound formats. Replaced written instructions on page 1 with a flow chart to show how to use the ERG2016. Expanded Table of Placards and updated title to Table of Markings, Labels, and Placards and Initial Response Guide to Use on Scene. Expanded Rail Car Identification Chart and Road Trailer Identification Chart to two pages each. Updated Table 1 and Table 3 based on new TIH data and reactivity research. Updated pipeline emergency response information. 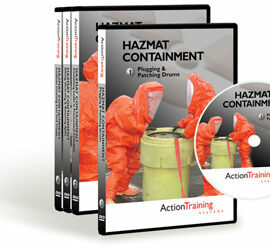 Added information about Globally Harmonized System of Classification and Labeling of Chemicals (GHS) markings. Added all new dangerous goods/hazardous materials listed in UN Recommendations on the Transport of Dangerous Goods to 19th Revised Edition. Added information on Emergency Response Assistance Plans (ERAP) applicable in Canada. 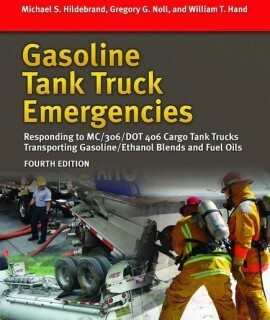 Gasoline Tank Truck Emergencies, 4th Ed.